Flamboyant (Delonix regia): growing, planting, caring. A flamboyant tropical tree ! 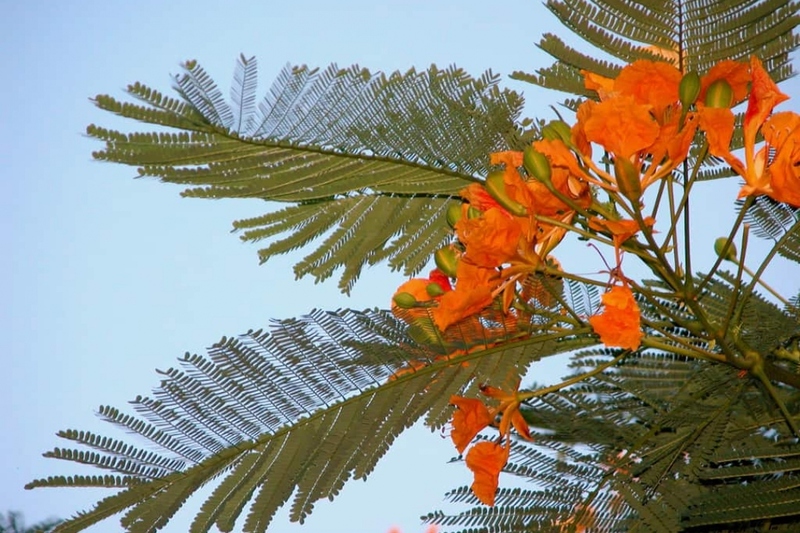 Delonix regia - Royal poinciana or flamboyant - is a species of flowering plant in the bean family, known for its fern-like leaves and flamboyant display of flowers. In tropical parts of the world it is grown as an ornamental tree. Water often in the first weeks. Water potted plants at least once a week, as soon as the top soil dries. Ultmimately, if it does not rain for a month, consider watering.